Here’s how Absolute Cycle Member Roy, got riding and shredded 20KG! It all started with the realization I was jeopardizing my health with barely any exercise and my body and mind started to show signs of trouble. I didn’t want to burden my ill health on my family in the near future. So, last year, I took care of my diet and most importantly, started to exercise regularly. My wife Hunny (Cholaphansa Narula), persuaded me to join the cycling class at Absolute Cycle at The Commons. 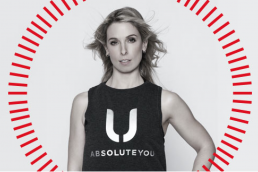 She has been a regular at Absolute You for many years and has been going to their rhythm cycling classes in addition to the many other exercises they have. I had the impression that rhythm cycling is casual play but that was not the case on my first ride. It was the most exhausting 45 minutes that I could remember, almost breathless all the time, my heart pounding so much that I thought I would drop dead there! But, I had made the commitment to my health and I kept coming back for more rides and it was the same exhausting feeling, but I felt stronger after each class. After a while, I was able to cope with the class routines and started to enjoy it. The group riding with great motivational coaching and the great instructors gives me the extra willpower apart from the engaging music and energetic lighting moods. The variety of moves on the ride using many body parts makes each class challenging and fun and keeps me coming back! The class has had a positive effect on my well-being. Now I feel much more energetic and much healthier physically and mentally than I ever was… for a long time. I have shredded almost 20 kilos since joining and most of my ill health signs have improved! Do you have a story to share? Email pearl@absoluteyou.com! Want to ride? Click HERE to book a bike!